Seriously? My grievance was premised on felony indictments alleging that Mr. Paxton defrauded investors and violated state securities laws. Those indictments allege violations of numerous disciplinary rules, not least of which are Rules 8.04(a)(2)(a lawyer shall not “commit a serious crime or commit any other criminal act that reflects adversely on the lawyer’s honesty, trustworthiness or fitness as a lawyer in other respects) and 8.04(a)3)(a lawyer shall not “engage in conduct involving dishonesty, fraud, deceit or misrepresentation”). If felony fraud is not a basis for attorney discipline, what is? And if there was enough evidence to bring criminal charges, why isn’t that enough evidence to bring disciplinary charges? Before Mr. Paxton was indicted, Erica Gammill of the Texas Coalition on Lawyer Accountability filed a grievance based on Mr. Paxton’s alleged violations of securities laws, but the state bar dismissed that grievance on the grounds that she failed to allege a rules violation. After he was indicted for the very acts identified by Ms. Gammill, I re-filed her grievance and included copies of the indictments. On March 9, 2016, a state bar prosecutor at least acknowledged the obvious, i.e., that the allegations did state a violation of the disciplinary rules, but he dismissed my grievance because of the pending criminal cases against Mr. Paxton. So if you file a grievance against a crooked lawyer before he gets indicted, the state bar will dismiss it on the grounds that no rules were violated, but if you file the grievance after he gets indicted, the state bar will dismiss it because a criminal case is pending. As I explained in my March 14, 2016 blog post, the rules imply that a grievance should not be dismissed because of a pending criminal case. Then again, Dallas attorney Marc Stanley has rightly observed the state bar casually and routinely flouts the law, which is bitterly ironic for an agency sworn to uphold it. I’ve said all along that my grievance against Mr. Paxton had little to do with Mr. Paxton and everything to do with the State Bar of Texas, particularly its Office of the Chief Disciplinary Counsel. Frankly, I wanted to see just how far the state bar was willing to go in order to protect a politically prominent attorney. To paraphrase George Orwell’s Animal Farm, all lawyers are equal, but some lawyers are more equal than others. And if you’re a lawyer in Texas with the right political connections, you can get away with almost anything. 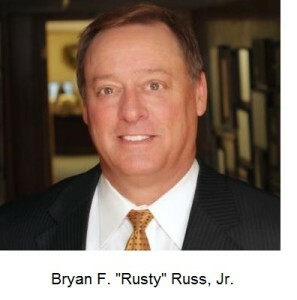 Consider Bryan F. “Rusty” Russ, Jr. of Robertson County, who along with his partner (former Robertson County DA James H. McCullough) was caught red-handed in a real estate fraud that looted more than a million dollars from a local family. Mr. Russ routinely represents the interests of one client against another without bothering to reveal his conflict of interest, much less seek a waiver from his clients (just read the letters at the bottom of this post), but the state bar won’t touch him. Why? Perhaps because he served for 16 years on the state bar’s local grievance committee. On the other hand, the state bar sometimes does the right thing, e.g., filing charges against former Robertson County DA John Paschall for stealing from the estate of Marium Oscar. Just last week, the Waco Tribune-Herald reported that the state bar filed charges against Waco attorney Greg White in response to my complaint that he had a secret and improper attorney-client relationship with U.S. District Judge Walter S. Smith, Jr. And the Board of Disciplinary Appeals did order the state bar to file disciplinary charges against Mr. Paxton based on allegations that he advised county clerks that they could disregard the Supreme Court’s gay-marriage decision. But there is no rhyme or reason for the state bar’s prosecution decisions. Ask yourself which is more important: prosecuting an attorney general who gave hyperbolic advice about gay marriage, or prosecuting an attorney general who committed crimes against his own clients. It’s as if the state bar prosecutors randomly pull cases out of a hat and file charges, then dismiss all the remaining cases (and that leaves me wondering what will happen to the grievance that I filed last week against Grimes County District Attorney Tuck McLain). If you have some free time and you’re in the mood for some mischief, file your own grievance against Mr. Paxton. Just put a cover letter on top of the grievance that I filed, and print out the grievance form or file it online. While you’re at it, be sure to include the latest development in the Paxton scandal: the SEC’s civil lawsuit against Mr. Paxton for securities fraud. Occasionally the state bar can be shamed into doing the right thing, so it’s worth a try. UPDATE 05/04/2016: After uploading this post, bar reform activist Debbie Asbury directed my attention to Texas Rule of Disciplinary Procedure 2.10, which grants me the right to amend my grievance after the Board of Disciplinary Appeals dismisses it. Contrast that with the letter from Ms. McKeeman, which indicates that my appeal is closed and there is nothing more that I can do. A few moments ago, I sent a letter to the Board amending my grievance and further noting that Ms. McKeeman appears to have violated a disciplinary rule herself, namely Rule 4.01(a), which forbids a lawyer from making “a false statement of material fact or law to a third person.” I also sent a separate letter to the Texas Supreme Court urging it to investigate the mishandling of my grievance against Mr. Paxton. BTW, check out the “Hold the Office of the Chief Disciplinary Counsel Accountable” and “State Bar of Texas Sunset Discussion Group” pages on Facebook. I just learned about them last week. With the exception of Steve Fischer’s insurgent campaign for state bar president in 2013, I don’t recall any candidate proposing substantive changes to the legal profession, and that’s why I rarely vote for state bar president or any other bar office. The elections are high school popularity contests for grown men and women, and I can only tolerate so many platitudes in a day. The local grievance committees should be overhauled or eliminated. I have repeatedly seen sleazy lawyers get elected or appointed to state bar offices, particularly the grievance committees, and several of my lawyer friends have made the same observation. We suspect that some of the sketchier lawyers and firms deliberately try get their people on grievance committees as an act of self preservation. Recall that Rusty Russ spent 16 years on a grievance committee. The Supreme Court of Texas has nominal oversight over the bar, but the justices understandably are more interested in deciding cases than running an administrative agency. Do them a favor: give the responsibility to someone else. I’ve even heard state bar prosecutors complain about the grievance committees. The committees are appointed by the state bar president on the recommendation of the locally-elected bar directors, and they are far too susceptible to political influence. Equally as problematic, the entire hearing process occurs behind closed doors (and that is always an invitation to trouble). The bottom line is this: the state bar will never reform itself, so average citizens must demand reform from their elected officials. Unfortunately, most of those elected officials are lawyers themselves. From 2011-2015, 27,417 Grievances were DENIED & DISMISSED with NO APPEAL rights accorded by Statutes…Just think of how many have been improperly DENIED & DISMISSED since 1/1/2004 when OCDC bungled the interpretation of a Change to the State Bar Act! 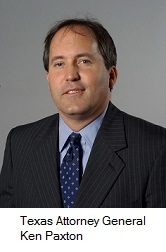 Did anything ever happen to this Texas attorney, whose right to practice before the SEC was nullified? Evidently not. Why should Paxton’s still unadjudicated case be treated differently? As for the Sunset Commission’s recommendations, this might be worth checking out: http://www.TexasBarSunset.com . Any Complainant who reads TRDP 2.10 and asserts their right can insist on filing an Amendment. BODA has not ever complied with TRDP, 2.10, which accords Complainants with the Right to file Amendments within 20 days of BODA’s DENIAL & DISMISSAL Notices. Instead, BODA “denies, “dismisses,” “closes,” and wrongly states on the “standard Appeal Denial Notice” that “there is no Appeal” of BODA’s decision.